Bine aţi venit! Acest blog oficial oferă informaţii despre activitatea universitară, culturală şi jurnalistică a profesorului Vladimir Tismăneanu. Vladimir Tismăneanu este profesor de ştiinţe politice la University of Maryland, College Park, SUA, director al Center for the Study of Post-Communist Societies al aceleiaşi universităţi, membru in boardul International Forum for Democratic Studies (NED) si al revistei Journal of Democracy, membru in boardul CADI. Membru in consiliile editoriale ale revistelor Jurnal of Cold War Studies, East European Politics and Societies, East-Central Europe, Romanian Journal of Political Science, Sfera politicii, Studii si materiale de istorie contemporana (SMIC), Human Rights Review, East, Historia. În 2006 a fost preşedinte al Comisiei Prezidentiale de Analiză a Dictaturii Comuniste din România, iar din data de 11 aprilie 2007, presedintele Comisiei Prezidentiale Consultative pentru Analiza Dictaturii Comuniste din Romania. Intre 2010 si 2012, a fost presedintele Consiliului Stiintific al Institutului de Investigare a Crimelor Comunismului si Memoria Exilului Romanesc (IICCMER). Este presedintele Consiliului Stiintific al Institutului de Studii Populare (ISP). 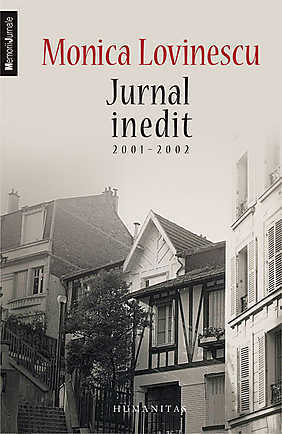 A fost editorul revistei East European Politics and Societies (1998-2004), presedintele Comitetului Editorial (2004-2008) si continua sa faca parte din Comitetul Editorial. Printre cele mai recente lucrări ale sale se numără “Despre comunism. Destinul unei religii politice” (Humanitas, 2011); “O tranzitie mai lunga decat veacul. Romania dupa Ceausescu” (co- autor, impreuna cu Mircea Mihaies, Curtea Veche, 2011; , “Despre 1989. Naufragiul Utopiei” (Humanitas, 2009,aparuta in 2011 in traducere albaneza), editia paperback a cartii “Fantasies of Salvation” (Princeton University Press, 2009), “The Promises of 1968: Crisis, Illusion, Utopia” (Central European University Press, Budapest and New York, 2010); “Stalinism Revisited: The Establishment of Communist Regimes in East-Central Europe” (coordonator si autor de capitol, Central European University Press, Budapest and New York, 2009), “Fantoma lui Gheorghiu-Dej” (editia a II-a, revazuta si adaugita, Humanitas, 2008), “Perfectul acrobat. Leonte Rautu, mastile Raului ” (impreuna cu Cristian Vasile, Humanitas, 2008), „Stalinism for All Seasons” (University of California Press, Berkeley, 2003) şi „Between Past and Future: The Revolutions of 1989 and Their Aftermath” (coordonată împreună cu Sorin Antohi; Central European University Press, 2000, trad. rom., Curtea Veche). Patru volume de dialoguri cu Mircea Mihaies, toate aparute la Polirom. Intre 2008-2010, a coordonat si prefatat editia romana a trilogiei lui Leszek Kolakowski, Principalele curente ale marxismului (Curtea Veche). Articolele, studiile si recenziile sale au apărut în numeroase ziare şi reviste, printre care Times Literary Supplement, Journal of Democracy, NEXUS, American Political Science Review, Government and Opposition, Democracy-at-Large, Central European History, Telos, Tikkun, Dissent, New York Times, Washington Post, Common Knowledge, Dilema Veche, Sinn und Form, Orizont, The New Republic, Apostrof, Partisan Review, Gazeta Wyborcza, 22, Lettre Internationale, Verso, Sfera Politicii, Studia Politica, Social Research. Volumul „Revoluţiile din 1989. Între trecut şi viitor” (Routledge, 1999, Polirom, 1999, editia a II-a, Polirom, 2006) a primit premiul revistei Sfera politicii pentru cea mai buna traducere românească din domeniu (realizata de Cristina Petrescu si Dragos Petrescu). Cartea sa “Fantasmele salvarii” (Princeton UP, 1998, paperback 2009, trad. rom. de Magda Teodorescu, Polirom), a fost tradusa in Polonia si Lituania si a primit premiul “Dimitrie Onciul” al Fundatiei “Magazin Istoric”. Premiul Fundaţiei Culturale Romane (2001), Marele Premiu ASPRO (1997). A primit premiul Grupului pentru Dialog Social pe anul 2007 pentru coordonarea Comisiei Prezidentiale de analiza a dictaturii comuniste din Romania. A detinut rubrica lunara “Accente si ipoteze” la Idei in dialog si este colaborator permanent al revistei 22. In anul academic 2008-2009 a fost Fellow la Woodrow Wilson International Center for Scholars. Este coordonatorul colectiei “Zeitgeist” la editura Humanitas si al colectiei “Constelatii” la editura Curtea Veche. Membru fondator al “Academiei Catavencu” si al Societatii Academice Romane (SAR). 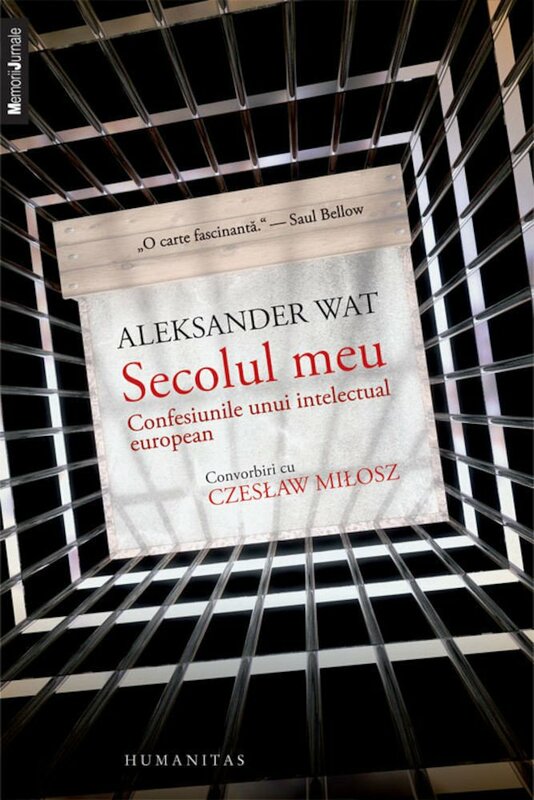 A prefatat editiile romanesti ale unor carti de Leszek Kolakowski, Ken Jowitt, Wolf Lepenies, Adam Michnik, Raymond Aron, Tony Judt, Rob Riemen,, Jan T. Gross, Pierre du Bois, Andrei Codrescu, George Orwell (“1984′“, “Omagiu Cataloniei“), Czeslaw Milosz (“Gandirea captiva“), Fahri Balliu (“Sinistra doamna“), a prefatat carti de Cristian Vasile, Angelo Mitchievici, Valerian Sava, Valeriu Stoica, Dragos Paul Aligica, Dan Petrescu, Liviu Cangeopol, Mihail Neamtu, Vasile Gogea, Leonard Oprea, Mircea Sevaciuc, Nicolae Coande, iar in engleza a prefatat lucrari de Dorin Tudoran, Lavinia Stan si Jeffrey Wasserstrom. A coordonat si prefatat antologia “Etica neuitarii” de Monica Lovinescu (Humanitas, 2008). Pentru alte detalii biografice, vezi acest interviu. Vladimir Tismăneanu was born in Brasov, Romania, on July 4th, 1951. He is Professor in the Department of Government and Politics and Director of the Center for the Study of Post-Communist Societies at the University of Maryland (College Park. Between June1998 and January 2004, he was the editor of the journal East European Politics and Societies (published by University of California Press) and between 2008 and 2008 he was chair of the journal’s editorial committee. He is currently member of the editorial committee. Between 2010 and 2012, he served as Chair of the Scientific Council of the Institute for the Investigation of the Crimes of Communism and the Memory of the Romanian Exile (IICCMER). Between April 2006 and March 2007, Dr Tismaneanu served as chair of the Presidential Commission for the Analysis of the Communist Dictatorship in Romania and between April 2007 and March 2010 he was Chair of the Presidential Advisory Commission for the Analysis of the Communist Dictatorship in Romania. During the academic year 2008-2009, Vladimir Tismaneanu was a Fellow at the WoodrowWilsonInternationalCenter for Scholars where he conducted research for book manuscript on Democracy, Memory, and Moral Justice: Romania Confronts Its Communist Past. Between October 2003-July 2004, Dr. Tismaneanu was a Reagan-Fascell Democracy Fellow with the International Forum for Democratic Studies/National Endowment for Democracy in Washington, DC. His teaching and research interests focus on revolutionary movements and ideologies in Europe and Latin America (Marxism, Leninism, Castro-Guevarism), civil society, populism, Fascism, nationalism, democracy, and the main threats to liberalism and an open society in the post-Cold War era. He received his PhD from the University of Bucharest in 1980 with a thesis on the political theory of the FrankfurtSchool. Dr. Tismăneanu left Romania for political reasons in 1981. From 1983 to 1990, he was a resident scholar at the Foreign Policy Research Institute in Philadelphia. Between 1990 and 2002, he was a Senior Fellow at FPRI. Between 1985 and 1990, he taught political science at the University of Pennsylvania. In 1990, he joined the Department of Government and Politics at the University of Maryland (College Park). Between 1990-96, he was a member of the coordinating committee of the University of Maryland-SAIS Russian Littoral Project and between 1998 and 2004, he served on the American Council of Learned Societies-East Europe Committee. 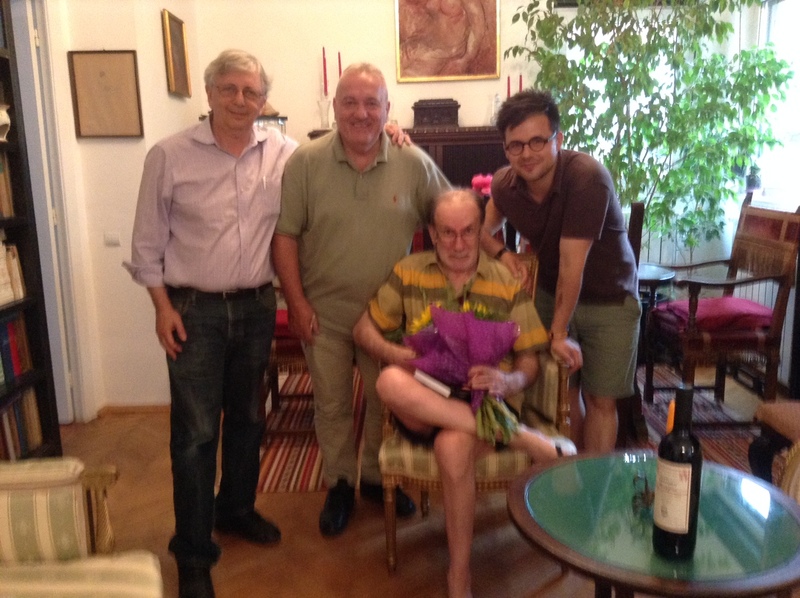 Between 1993-96, he served as a member of the Area Advisory Committee for Eastern Europe: Southeast Europe, Council for International Exchange of Scholars (Senior Fulbright Grants). In May 2000, Dr. Tismaneanu received the “Professor of the Year” Award from Alpha Sigma Phi Fraternity, and in May 2001 he received the “Excellence in Teaching Mentorship Award” from the College of Behavioral and Social Sciences at the University of Maryland, College Park. In June 2002, the Senate of the University of the West in Timisoara, Romania, granted Professor Tismaneanu the title of Doctor Honoris Causa for outstanding contributions to the study of communism, post-communism, and democratization in East-Central Europe and the countries of the former Soviet Union. In June 2003 he received the title of Doctor Honoris Causa from the National School of Political Studies and Public Administration (Bucharest, Romania). As a recognition of his teaching achievements, Dr. Tismaneanu received the Distinguished Scholar-Teacher Award from the University of Maryland, 2003-2004. In 2007 he received the Distinguished International Service Award from the University of Maryland. Dr. Tismăneanu is a member of the editorial boards of Journal of Democracy, Human Rights Review, East (Italy) and other American and foreign journals, including several Romanian political science, history and literaryjournals. He serves on the advisory board of the International Forum for Democratic Studies in Washington, DC. He has received numerous grants, fellowships and awards, including a research and writing grant from the American Council of Learned Societies/Joint Committee on Eastern Europe, a research scholarship from the Woodrow Wilson International Center for Scholars, as well as grants from the US Institute of Peace, the National Council for Eurasian and East European Research, IREX, Bradley Foundation, and the Pew Charitable Trusts. In the summer of 1994, he served as director/organizer of the National Endowment for the Humanities-sponsored seminar for college professors, “Democracy and Ethnic Conflict in Eastern Europe,” University of Maryland at College Park. He was the co-organizer of the international conference “Between Past and Future: The Revolutions of 1989 and the Struggle for Democracy in East-Central Europe,” held in Budapest in March 1999. Between July-October 2001, he was a Public Policy Scholar at the WoodrowWilsonInternationalCenter for Scholars. Between May-August 2005, he was a Jacharis Fellow at the WilsonCenter. In 2008, Vladimir Tismăneanu was the convener of an international conference in Washington, DC, on “The Promises of 1968: Crisis, Illusion, Utopia” sponsored by the Romanian Cultural Institute, the University of Maryland, Woodrow Wilson International Center for Scholars, the Embassy of Romania, and Georgetown University (forthcoming volume from Central European University Press, edited by Vladimir Tismaneanu). In 2009, he was the convener of the international conference “The End and the Beginning: The Revolutions of 1989 and the Resurgence of History”sponsored by the University of Maryland, Woordow Wilson Center, Georgetown University, the Romanian Cultural Institute and the Embassy of Romania to the USA). Dr. Tismăneanu is the author and editor of numerous books and articles. In 2009 Central European University Press published the volume edited by Vladimir Tismaneanu, Stalinism Revisited: The Establishment of Communist Regimes in East-Central Europe. In 2008, Humanitas Publishing House in Bucharest published The Perfect Acrobat: Leonte Rautu, the Masks of Evil, co-authored with historian Cristian Vasile, the first biography of Romania’s chief Stalinist ideologue. Also in 2008, Curtea Veche Publishing issued new, updated editions of his books The Archeology of Terror and The Unrepeatable Past. In 2007, Vladimir Tismaneanu was the co-editor of the Final Report of the Presidential Commission for the Analysis of the Communist Dictatorship in Romania (Humanitas Publishing House). In Fall 2003, the University of California Press published his book Stalinism for All Seasons: A Political istory of Romanian Communism (Romanian translation, 2005), which received in 2004 the Barbara Jelavich Award from the American Association for the Advancement of Slavic Studies. His book Fantasies of Salvation: Democracy, Nationalism, and Myth in Post-Communist Europe (Princeton University Press, 1998, paperback 2009; Romanian translation ,1999, Polish translation, 2000, Lithuanian, 2004 ) received the book award of the Romanian-American Academy of Arts and Sciences (University of Rochester, August 1998). Dr. Tismaneanu is co-editor The World After Leninism (University of Washington Press (2006). Currently, he is engaged in writing two books: The Devil in History: Communism, Fascism, and the Lessons of the Twentieth Century and Democracy, Memory, and Moral Justice. Other noteworthy titles by Tismaneanu include: The Crisis of Marxist Ideology in Eastern Europe: The Poverty of Utopia (Routledge, 1988); In Search of Civil Society: Independent Peace Movements in the Soviet Bloc (Routledge, 1990, editor and principal author); Latin American Revolutionaries: Groups, Goals, Methods (Pergamon/Brassey, 1990, co-author); Debates on the Future of Communism (co-editor and author); Political Culture and Civil Society in the New States of Eurasia (M. E. Sharpe, 1995, editor); and The Revolutions of 1989 (Routledge, 1999, editor and author of introduction, Romanian translation, Polirom, 1999) and Between Past and Future: The Revolutions of 1989 and Their Aftermath (co-editor, Central European University Press, 2000). Dr. Tismaneanu’s books Reinventing Politics: Eastern Europe from Stalin to Havel (Free Press, 1992; expanded and updated paperback, 1993, new edition 2000) and Fantasies of Salvation have been adopted as texts in numerous universities. Reinventing Politics came out in Romanian in 1997, and Fantasies of Salvation was published in Romanian in 1999 and in Polish and Lithuanian in 2000; the paperback will come out in August 2009, twenty years after the revolutions of 1989, from Princeton UP. Both books were selected on the short list of books recommended for translation into East European languages by the Budapest-based Open Society Institute. For his whole activity in support of democracy, Dr. Tismaneanu received the Romanian Cultural Foundation Award in 2000, was granted the National Merit Order by the President of Romania in December 2000, and in May 2001 he received the “Bratianu Award” from the National Liberal Party of Romania. 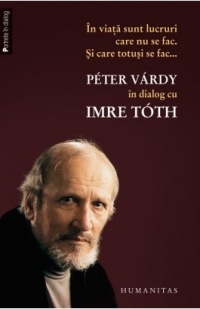 In addition to his English-language books, Vladimir Tismaneanu is the author of numerous books and articles in Romanian for which he received in 1997 the highest award of the Association of Professional Romanian Writers. His studies on ideology, revolutions, civil society, political radicalism, communism, post-communism, nationalism, and populism and have appeared in major American and European journals, including Times Literary Supplement, Partisan Review, The New Republic, East European Politics and Societies, Problems of Post-Communism, Government and Opposition, Telos, Praxis International, Common Knowledge, ORBIS, Sinn und Form, Dissent, Tikkun, Society, Les Temps Modernes, Verso, Orizont, 22, Romanian Journal of Politics and Society, Studia Politica,Transitions, etc. He has contributed book reviews to American Political Science Review, Canadian Journal of Sociology, Slavic Review and other major scholarly journals. Many of his articles have been translated into Polish (Gazeta Wyborcza), Hungarian, Russian, Ukrainian, Spanish, German, French, Czech, etc. He has frequently lectured in major American and European universities as well as in many business, government, and research institutions. In 1993 he received the “Distinguished Visiting Lecturer Award” from the State Department’s Foreign Service Institute, where he continues to lecture often on the post-communist transitions in East-Central Europe. Vladimir Tismăneanu has been a frequent contributor on Russian and East European affairs to the BBC, Radio Free Europe, Deutsche Welle, and the Voice of America. He has been a guest on national and local TV and radio programs (CNN International, NewsHour, Nightline, CBS, NPR). His articles have appeared in the popular media, including The New York Times, The Washington Post, Times Literary Supplement, Philadelphia Inquirer, Christian Science Monitor, Wilson Quarterly, In These Times, and many others. Since 2004, he has published a weekly column in some of Romania’s most circulated daily newspapers.